It’s been a little over 2 years since the Egyptian Financial Supervisory Authority passed a law that regulated and formalized the microfinance industry in Egypt. 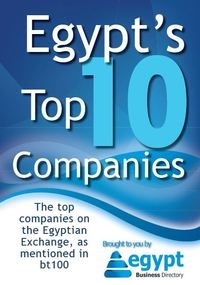 After a period of transition where over 700 institutions received licenses to operate in this sector, Microfinance Institutions, Non Governmental Organisations and the newly formed Microfinance companies are now focused on how they can develop their business’ to capitalise on the tremendous potential of the microfinance industry in Egypt. The Microfinance Forum, taking place from 27 February to 1 March in Cairo, Egypt, will gather heads of microfinance, executive directors, regulators, SME professionals and government officials from the microfinance industry to address their challenges in growing profitability of the sector and becoming an integral part of Egypt’s economic development.